The production machines for casting, cutting and lifting the prestressed concrete elements must be used in conjunction with other ancillary equipment and fixed plant. 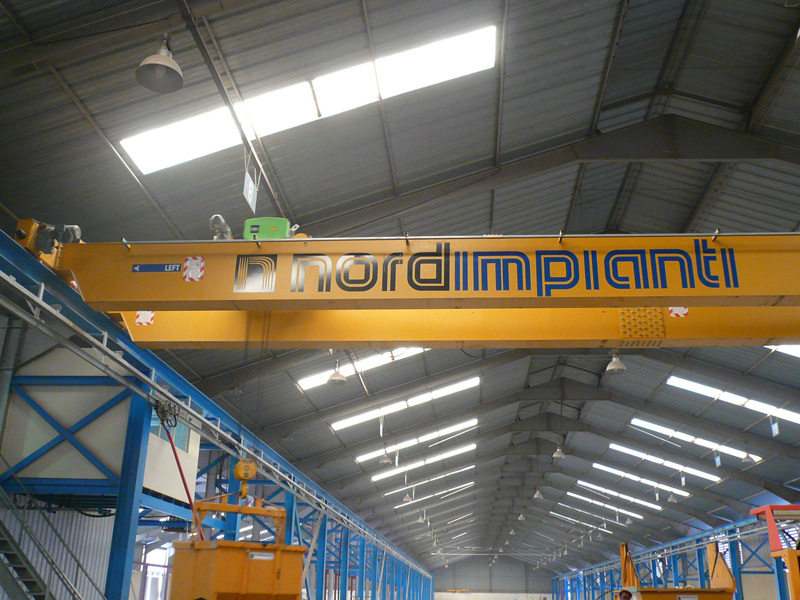 Nordimpianti can offer and advise customers as to the best choice of this auxiliary plant from a list of specialized and reliable suppliers. The batching plant must be able to constantly produce high quality concrete that is needed for the manufacture of prestressed elements. The plant must always guarantee that the correct quantities of aggregates are used, and have an efficient mixing capability to achieve a homogenous concrete mixture all within a strictly constant humidity. 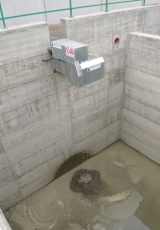 The concrete humidity control is achieved using specific probes mounted in both the aggregate bins and directly on the bottom of the mixer. An efficient management system, controls the quantity of water added to the mixing cycle as a function of the water contained in the aggregates. The layout of the batching plant can be horizontal or vertical. The horizontal plant is undoubtedly the most popular and easy to assemble. The aggregates are stored in horizontal modular bins positioned below the floor or within its own overhead structure with a suitable loading conveyor belt. 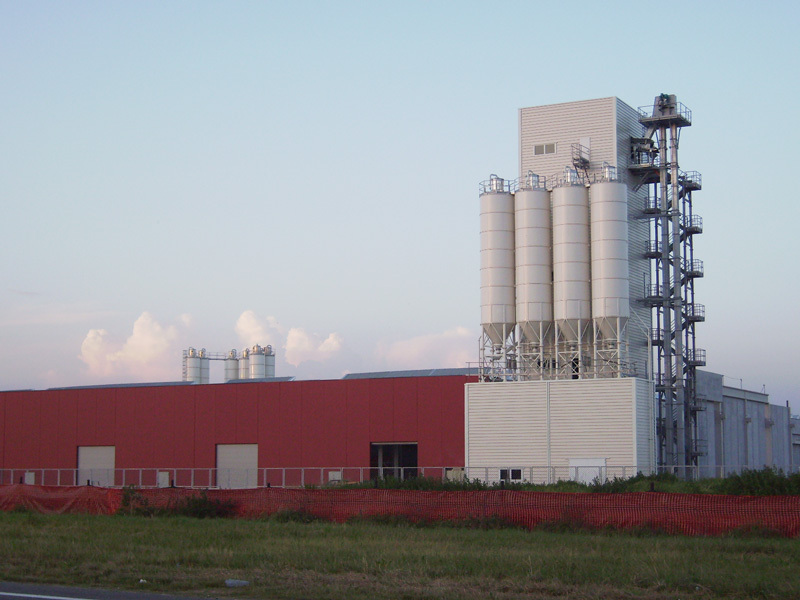 The vertical plant has been developed to achieve large-scale concrete production combined with reductions of noise and dust emissions. 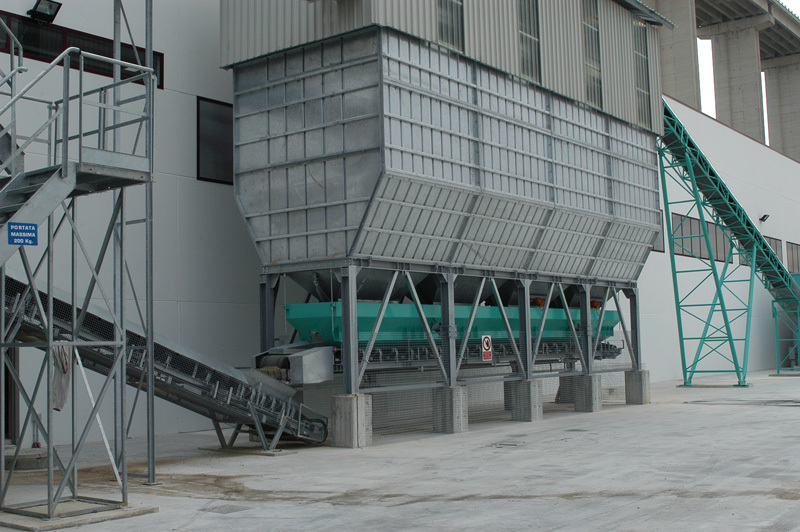 A vertical plant does require that the aggregates are lifted into position but thereafter the whole process takes place in a closed environment and under gravity, with obvious advantages in terms of energy savings, component wear and noise levels being kept to a minimum. The vertical solution also makes the best use of the central area needed for the positioning of the plant in situations where space is limited. approx. 5 m in the case of concrete distribution with flybucket. We recommend that the batching plant should be able to memorize at least 3 no. automatic programmes as well as being able to execute all phases manually. 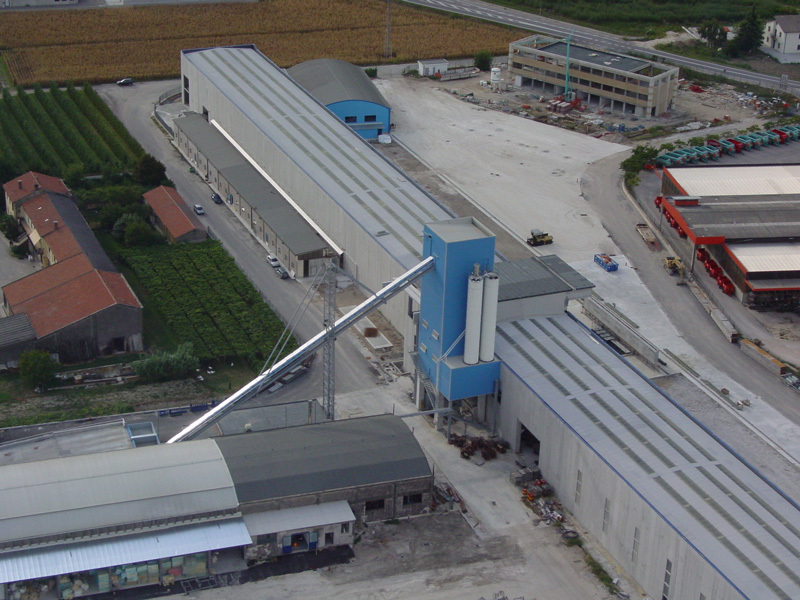 Where there is no automatic concrete distribution system, the best position of the batching plant in respect to the production Factory is halfway along its longest site. 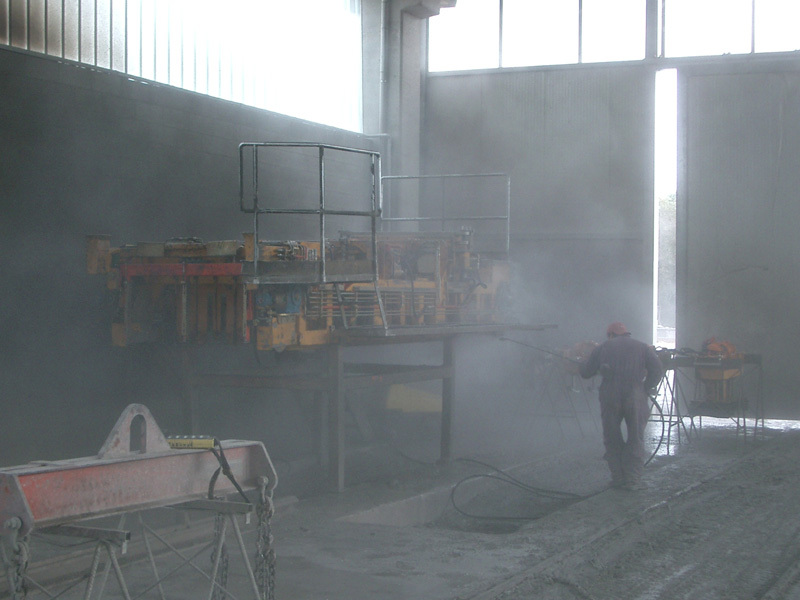 The concrete curing time is a factor affecting the operation and productivity of the production plant. 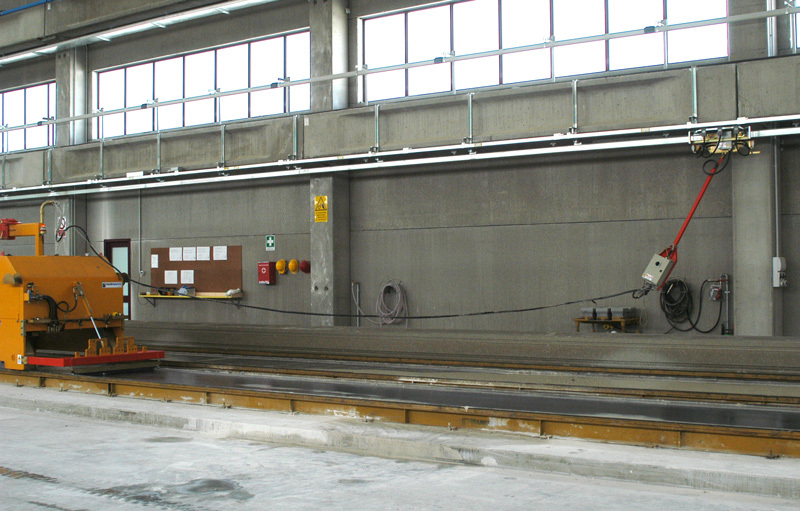 Speeding up the concrete curing time by the use of heating system is a well established method to achieve the desired concrete resistance within a few hours and then allows the bed to be reused to have more than 1 production run/day. 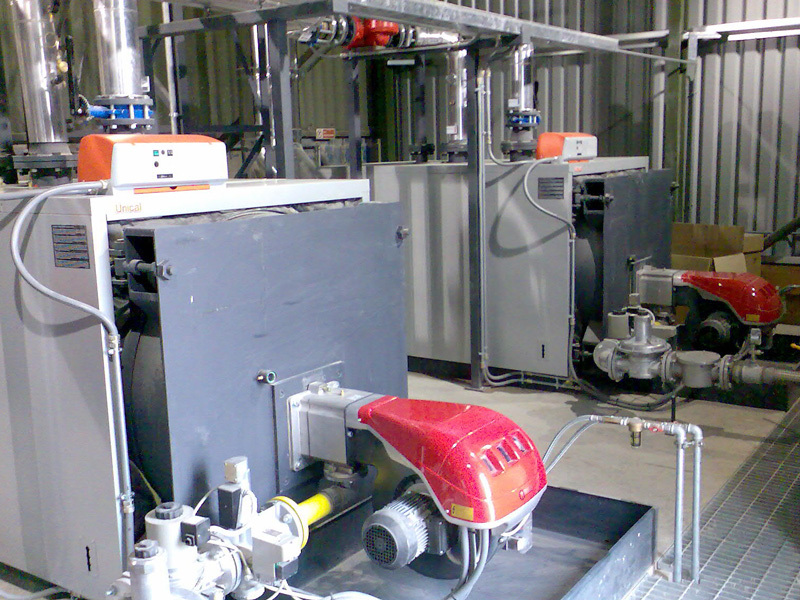 The heating plant can be mounted within an ISO container or in a constructed boiler room on site. 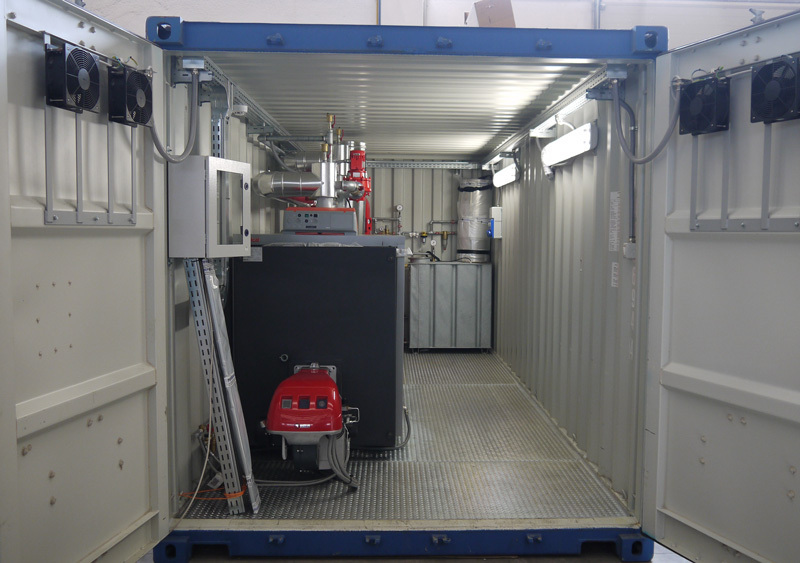 The choice of having the heating plant mounted in a container means that there is no need for additional civil works and that all the components can be pre-assembled in same container for an easy and quick installation. During the curing phase the elements must be covered with insulating sheet for heat retention but also to stop the concrete drying out too quickly. Any waste water generated in the concrete element production process can be recovered and reused in the production cycle. Before being reused the water must be chemically treated in order to restore the pH values ​​to acceptable values. Any solids such as concrete and stone can be separated and channelled into a special machine for waste disposal. The electrical system must be designed for the maximum power loading requirements of the plant and have sufficient voltage stabilisation as to prevent damage to electronic equipment such as PLCs, inverters etc. installed on production machines. The electrical plant must have a capacity of at least 200/250 kVA and must be installed in accordance with the applicable laws in force. Power can be supplied to the machines in 2 ways: a sliding power point ( blindo trolley) or with a power cable reel mounted on the production machines. With the blindo trolley supply, the power must be rated at 150 kVA and the lines must be positioned on both sides of the Factory to avoid interferences between sliding feeding trolleys and the and production machines along the production beds. This offers a practical and efficient solution because it can feed several machines simultaneously. A power supply reel has a suitably rated power supply and powers the machine as it travels along the bed winding in the cable. Supply pillars, to which the machine’s power supply cable is connected must be installed at the end of the bed where production manufacture finishes.. The water suitable for preparing concrete should be clean and free from chemical and natural impurities coming from industrial waste drainage. It should be able to deliver at least 200 lpm to the mixing plant and the daily consumption should be calculated in the region of 8 000-10 000 litres. pipe feeding network to the concrete mixer, to the on-site steam heating unit, and to the warious drawing points in the production Factory. In the washing area we advise the use of a high water pressure machine for washing the equipment. It should be fitted with a nozzle that can generate a powerful jet of 150-200 kg/cm² of water. It is always useful to have compressed air in the factory for the cleaning and maintenance of the machinery and also for the air cutting of wet concrete if needed. Intake air volume: 1.750 l/min. The quality of the concrete is extremely important for the quality of the finished product as well as for the proper operation of the production machines. it is useful to have an on-site testing laboratory in order to check the quality of the raw materials, cement and finished product. IThe best way to check all materials entering the factory, such as; iron , cement, aggregates, releasing oil, and all outgoing manufactured products, it to weight them. The weighbridge should be situated in an area which is easily accessible and convenient for heavy loaded trucks. 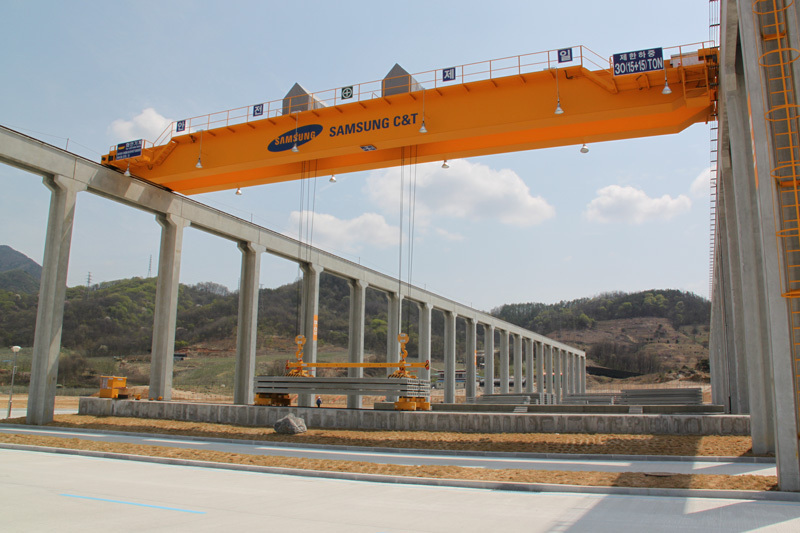 Its platform could be made of prestressed slabs or shaped steel sheets 10 mm thick. There are many phases of work done in the production Factory for which it is indispensable to have 1-2 overhead mobile cranes, depending on how production is organized. 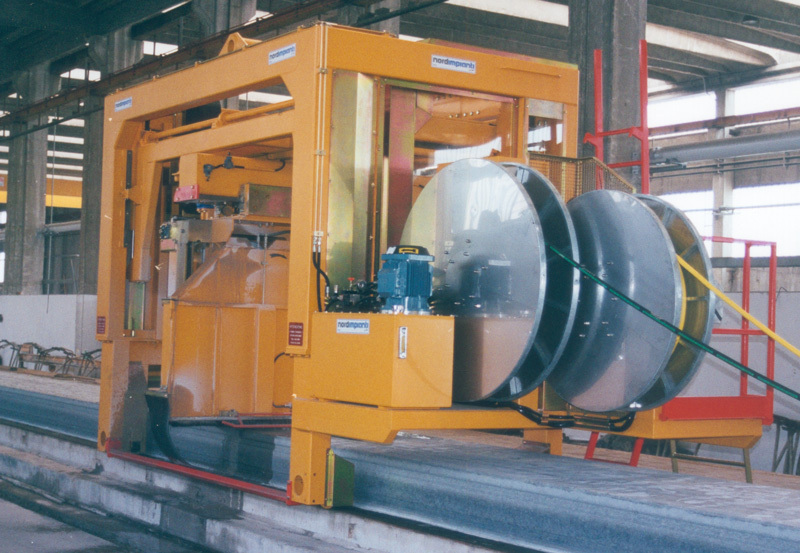 Off-loading of the steel wire coils from the trucks and their loading onto the decoilers. When lifting elements over a certain length is advisable to use an overhead crane fitted with no. 2 lifting hooks in order to achieve a correct balance to transport the elements safely and conveniently. 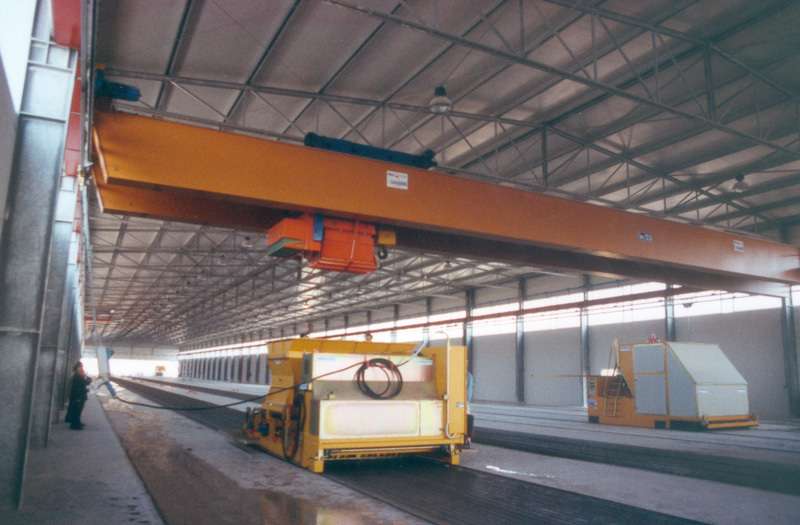 In cases where overhead crane is used for the concrete supply to the casting machines along the production bed a bridge crane speed of not less than 80 m / min is recommended to minimise travelling times. It is also recommended to use remote control as an alternative to traditional tethered push-button panels with electrical cable. The forklifts are used to move the elements about the storage area and for loading the trucks. Payload capability depending on type of manufactured product: 4000/15 000 Kg. 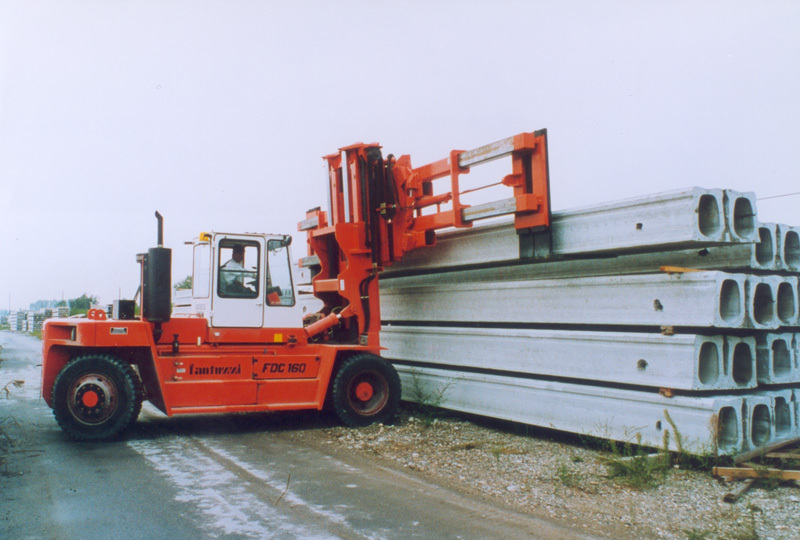 The forklift must be prepared with specific support plate forks that can be moved laterally, and in case they are used for the lifting of large elements the forks must have the ability to widen to adapt to the length of the element.